I'm not sure I agree with the example. If the market reality is that the good customers are willing to pay the 9.1% rate, it would be much more beneficial for the bank to use the perfect classifier, and charge 9.1% from the good customers, all the while incurring no losses from the bad customers. Furthermore, in a competitive setting, a bank with the perfect classifier can trivially outcompete the bank with the poor classifier, since it can offer a singificantly lower price all the while getting higher margins. The issue here is that banks quite often (as far as I understand it) cannot segment customers and price their loans arbitrarily using supply-demand logic - otherwise they might tend to offer higher interest rates to some of the more reliable customers. 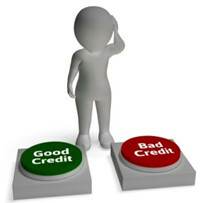 Instead, if a customer is known to have a good credit rating, he is expected to receive lower interest rates. No discussion. In addition, the risk scoring and interest rate computation may be modularized - one team oversees the first step (some companies simply buy this service from an external credit agency), and another works on the second one (I guess some companies use a standardized computation here). Moreover, the interest computation logic must sometimes be transparent and "reasonable" at least to some extent for particular legal reasons. Note that if you have a perfect classifier, you can of course always make it worse by adding rules of the form "flip a coin and predict 10% instead of 0% if the coin falls down heads that many times". However in the circumstances described above you may have problems adding such logic. Instead, you can essentially hide the "coin flipping" (along with the resulting customer segmentation spread) in the imperfections of the risk scoring method. To put it differently, if a bank has to choose between two logistic regression models (those being the most typical and intuitively "understandable" backend to financial "scorecards"), where the first one has better accuracy/precision/ROC, while the second has a "more useful" spread of predicted probabilities, resulting in potentialy more clients, it is not immediately obvious whether the first model should be preferred. Of course, the example may still fail completely under certain assumptions (such as perfect market competition that you mention). However, those assumptions do not always hold in reality either. Note that perhaps a more direct example would be an insurance agency. An insurance agency with a perfect risk predictor, in order to be able to insure all its clients and still offer reasonable prices to everyone, would essentially have to artificially "undo" the work done by the classifier and smooth out the hypothetically perfect predictions (they would have to demand nonzero premiums from people who are known to have zero risk, in order to "sponsor" reasonable rates for riskier clients). Hence a "perfect" classifier would not be the best here. What is instead needed is something like a good probability estimator with a particular output profile (the latter dictated by the market somehow). - Transparency regulations. There may be situations where you literally cannot upsell/downsell explicitly due to external legal or internal regulations and must tie your interest/insurance premium computation "in a reasonable manner" to a risk score. - Practical considerations. It may be hard or even impossible to find an optimal classifier. Even if you find it, it may be much more complex internally (e.g. an ensemble or a nonlinear model instead of a simple linear one). When you add the smoothing logic on top things end up even worse. At the same time a simple user-friendly linear model may immediately provide you with the same target probability distribution. All in all the moral of the post is that there may be situations where you need a certain output distribution, and this distribution is not just two peaks at 0 and 100%. Of course, you can always find alternative contexts, such as "budget planning" or "publishing research papers", where better predictors may still be fruitfully exploited, but here those are not assumed to be the prime goals. In this example, if you have to choose between a model that is more precise according to most of your favourite indicators (perhaps still not perfect), and a model that has a "nicer" output distribution, you might not end up picking the first one. Of course, ideally, you might want to somehow combine the two models, tuning the target distribution to your liking somehow. However, this does not seem to be standard practice in machine learning at all. That's one obvious direction for some possibly mathematically-interesting yet not too complicated research, I believe.